Welcome the intersection of faith and the culture. This is Walter’s live. We’re always talking about today’s hottest topics on policy, and faith, and the culture. Always doing that from a biblical, historical, and constitutional, perspective. 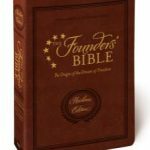 We love looking back into history, love looking back into what the Bible says about an issue, and we obviously respect that constitutional perspective as well. So, we’re always looking at those three perspectives on every issue of the day. And today we’re having our conversation with David Barton. 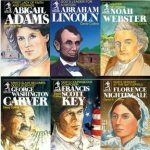 He’s America’s premier historian and our founder here at WallBuilders. Tim Barton is a national speaker and pastor and the president of WallBuilders. And I’m Rick Green, I’m a former Texas legislator. You can find out more about us at WallBuildersLive.com and also WallBuilders.com. There’s a lot of great information at both websites. And while you’re there, if you would please consider going to that contribution button and that will give you a chance to support what we’re doing on the program here, support our training programs. As a listener supported program it takes people like you to make it possible. So, thank you – thank you to all of our supporters out there for coming alongside us. You can do a one time contribution of whatever amount makes sense to you or you can come alongside us and be one of our monthly donors. And maybe it’s just one coffee a month you give up, maybe it’s five bucks a month, or 50 bucks a month, or whatever you can do. Believe me, it helps to spread this word and that means we’re going get more people equipped as citizens to preserve our Constitutional Republic. So, guys, later in the program Bill Federer will be back with us to give us a little background on a topic we haven’t covered, I don’t think, in our however many years of doing this program. We’re gonna talk about Valentine’s and the history of it and find out if my theory is correct that it’s just a conspiracy by the card companies to make me spend money on Valentine’s. Is Valentine’s More Than Commercialism? Well, I’ve got to say, my impression of Valentine’s Day is a commercial day created by the Hallmark card company to sell cards and by the floral companies to sell flowers. I think of a very commercial day. Well, and I’ve heard the name Saint Valentine, but I couldn’t tell you a single thing about St. Valentine. Is that like St. Nicholas, who, it’s a mythical creature based on someone who was real and Saint Valentine was like a gardener with roses and he had chocolate beans that he’d made. Like, I have no idea what this could be. I know I’ve heard St. Valentine, but I’ve never seen anything beyond the flowers, or the chocolates, or the candies, that date night, whatever it is. Which is– the joke used to be that, right, it was always just somebody trying to make money. Some brilliant marketer was like, “Guys, if you don’t do this you don’t love a woman and you’re terrible.” But I don’t really know the story of Valentine’s Day. Even with St. Valentine’s, I don’t associate Valentine’s Day with St. Valentine’s. There’s a lot of saints that are out there as saints and I don’t associate many days– I don’t even think of Valentine’s Day as being associated with an individual. I think more of it as an event, or an idea, or a focus on– let’s focus on “I love and appreciate you”. I just don’t associate the holiday at all with an individual. That’s just not what comes to mind. Well, both you guys are way ahead of me. I didn’t know there was a St. Valentine. So, I have to show my ignorance today on the program because I did not realize that. So, I this going to be pretty interesting. Well, Bill is really good about going back into what I would consider to be obscure only because it’s not known. I would think that most Americans do not know that there’s a St. Valentine’s or that Valentine’s Day has anything to do with him. And Bill is so good about going back into the origin of holidays and where these things came from and I expect nothing less here. When he gets into whoever St. Valentine is, and I can’t– I don’t have a clue who St. Valentine is– when he gets into that, probably when we come out of his interview, we’re going to be going, “Oh my gosh. I had no clue.” Because that’s just the way he’s done other holidays where we’ve talked to him. It’s like I had no– I’ve celebrated it, but I didn’t know why. So, this ought to be a lot of fun. When we’ve had him on in the past, I have, after the interview, I had to share with my kids and my wife all over multiple meals many of the facts and interesting things that we learned. It was always fun to to pass it on and I think our listeners probably enjoy the same thing. Let’s take a quick break. Bill Federer will be our special guest when we return. You’re listening to WallBuilders Live. What Is The Story With Valentine’s Day? Welcome back. Thanks for staying with us here on WallBuilders Live. Bill Federer back with us. Got another holiday to talk about and going to learn a lot of great stuff today. Bill, always good to have you, brother. Hey, 20 books out there. Best website for folks to go to to learn more about you and bring you in to speak, by the way. Great information and always thrilling to be able to hear you because I walk away learning so much. So, you speak at all kinds of conferences, churches, different things. How can people get a hold of you even before we get into the information today. Well, thanks, Rick. That’s kind of you. 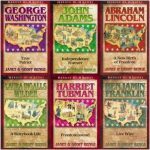 AmericanMinute.com is my website. 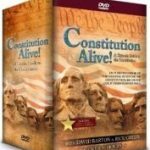 AmericanMinute.com. Great stuff there as well. So, listen, we’ve had you on talking about all kinds of different things from St. Nick to different holidays out there. Valentine’s Day – what is the story on the history of Valentine’s Day? Well, there were 10 major persecutions in the first three centuries of Christianity and St. Valentine lived during the third century during this persecution time. So, you have Saint Patrick in Ireland is the next century and Saint Nicholas there in the Greek Orthodox area is in the next century. These are the early church type saints. Well, the records are scant primarily because during these persecutions they would make pastors give up the scriptures. Now, this is before the printing press, so everything was handwritten and there are instances of pastors going to their deaths because they refused to give up the scriptures. Yet others gave them up. So, when we piece together this story there’s actually three different people with the name Valentine that go back to this third century or so. One of them was a church leader in Rome, another one was a bishop in central Italy in a place called Turney. And the story is that the Roman Empire at the time was Claudius and there was a plague, probably the plague of Cyprian, where smallpox and 5000 people died a day. So many died in Rome because all the citizens were packed together that the army was depleted and Emperor Claudius needed soldiers to fight the invading goths. So, Emperor Claudius, Claudius II, needed soldiers and he thought that unmarried soldiers fought better. So, he banned traditional marriage in the military. And then there was still rivalry from a previous Emperor being assassinated, Gelienas. So, Claudius decided to deify the previous Emperor, Gelienas, which means make him a god to be worshipped. And guess what? The Christians wouldn’t worship these Roman gods and so the persecution starts. And when we see Valentine, it’s sort of a composite story of the different people that lived during this time with that name. The first mention of him in history is 460 A.D. in a Latin record called *. And I cannot speak Latin, so sorry about that. Did you have to practice that before– I just want to know if you had to practice that one before we get on here? I butchered it so much. But anyway, that’s 460 A.D.. And then you look at the *, or the sacred legends, written in 1260 A.D.. And then in 1493 you had the Nuremberg Chronicles. So, they mentioned someone named Valentine. And the story is that he risked the emperor’s wrath by secretly marrying soldiers and their young brides even though the Emperor said the military wasn’t supposed to marry. and he refused to worship the pagan idols. He was arrested by the Prefect of Rome. They condemned him to die. –on what date? February 14th, 269 A.D.. Happy Valentine’s Day. Anyway, in 496 A.D., two centuries later, Pope *Delacious designated February 14th as St. Valentine’s Day. And originally, the idea was you honor their example and it encourages you to be bold for your faith. But really, was just a minor date on the calendar, St. Valentine’s Day, until Chaucer. And about 90 percent of bird species are monogamous. People didn’t realize that. Swans, geese, ravens cranes, blue jays, owls, ospreys, bald eagles. What does monogamous mean? It means they mate for life. And anyway, so this thought of the St. Valentine’s Day, this Roman Christian saint, and then Chaucer saying, “Oh, it’s on this date that the birds pick, choose, their mate and most of them are monogamous.” And then this became– St. Valentine’s Day became associated with courtly love. So, in the seventeen hundreds, the idea of sending flowers, and confectionery, and cards, spread. Now wait, I’ve got to ask you, Bill, so all this time I was wrong. I thought the greeting card companies had conspired this to get me to spend five bucks every year, at least five, since I’ve got to do Mom, I’ve got to do my wife, I got to get my daughter one, I’ve got to get– so, I’ve got to do like twenty dollars worth of cards. So, it wasn’t a conspiracy by the greeting card companies. This is the real deal. Real history here. Right. But it is a reminder, men, you better take this notice. That’s right. I’m sorry – go ahead. But, wait, back up to the first part. Just a couple questions on the first part so far. So, this St. Valentine when he would secretly marry the soldier, I instantly had when you were describing that this image in my mind from the movie Braveheart where they had to get married secretly and all that. So, that kind of stuff really did happen. This ban on marriage could because he I guess he didn’t want them distracted or whatever. He wanted to just be totally focused on war and nothing else. So, St. Valentine risked that wrath by having secret marriages. And he was– so it sounds like he was also a bold defender of the faith, he refused to participate in worshipping false gods. –go back to Roman times. What About X’s and O’s? Not new. Okay, I had to sidetrack and go back to that. You were about to talk about the signing that where we get the X’s and O’s. So, we’ve got Valentine’s cards now and you typically sign them with what? X’s and O’s. Well, the Christian, the Greek name for Christ– and this goes back to Constantine 313 A.D.., he stops the persecution of Christians. The story is the night before the battle he saw the sign of Christ in the sky, puts it on all the shields as symbols. What is the sign of Christ? It’s the first two letters of the Greek name for Christ. So, Christos is the Greek name. The letter that makes the “k” sound is written as an X and it’s pronounced “ki” and it makes a “k” sound. And then “r” for Ch-rist. So, the “r” sound is written as a big “P” and it’s called the “ro”. So, it’s called chi-ro and it’s an X and a P and you see this on third and fourth century Christian Roman artwork, the big X and a P.
And over the centuries it got shortened just to the “x”, it was called the “ki” and it was called the “Christ’s cross” and they would use it as an abbreviation. So, when you say Xmas, it wasn’t X crossing out Christ, it was the X that stood for Christ. And then it became a sign of a written note. So, you’d sign a document and like you swore to tell the truth and you’d put your hand on the Bible, you’d sign at the Christ cross or criss-cross and then you would kiss it to show sincerity. So, the idea is you would swear into office, sign at the X, and you’d kiss it. –he doesn’t remember his birthday, but he remembers his mother calling him, “My little Valentine”. And sad thing – Teddy Roosevelt’s wife and mother died on Valentine’s Day in 1884. Wow. Depressed, he leaves politics, goes out to a ranch in the Dakotas, and then finally comes back and runs for president. And then 1929, St. Valentine’s Day Massacre of the Chicago mob murders the Irish mob and Al Capone, so forth. But, anyway, so we go back, it was a date with Roman persecution of Christians. Christians are still being persecuted today. Amen. Amen. What an awesome Valentine education. We typically think of it as this shallow holiday, man, it’s got all this depth and all this history to it. Now, is there a good– have you put this in any of your books? Or a good resource for if people want to dive in and share this with others? Obviously they can share the program today, but is there a good resource we can go to for you? Well, I’ve put together, it’s called American Minutes. So, it’s one story for every day of the year. And obviously, the February 14th one is I give this story. Gotcha, okay. 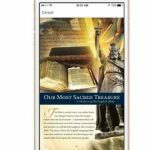 So, they can get that at the website – AmericanMinute.com. Alright, cool. Alright, we’ll put that website available today at WallBuildersLive.com so you can get over there. Bill Federer, always a pleasure. Looking forward to the next time we have you back. Well, Rick, thank you and thank the whole WallBuilders family and the tremendous work you’re doing, David and Tim Barton. I hear great works – your reputation is making an impact across the country. And thank you. Well, right back at you. We’ll be right back, folks. Quick break. We’ll be back with David and Tim Barton. We’re back. Thanks for staying with us here on WallBuilders Live. Thanks to Bill Federer for joining us as well. 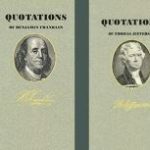 AmericanMinute.com is the website and we’ll have a link today at WallBuildersLive.com, so you can get over there easily. Back with David and Tim now. Guys, okay, this is not just the card companies. Looks like we– when we do get our wives something for Valentine’s we’re actually maintaining a pretty cool tradition. So, I would like to know how we go from he was a martyr, to here is roses, and chocolate, and I love you. Well, I was just trying to score some points, man. Right. Like, “Hey, babe, I love you so much. I would be martyred for you. Here’s some roses and chocolate.” Right? Now, in seriousness, right, where the Bible talks about “Greater love has no one than he lays down his life for his friend.” So, it was– or relative maybe we could draw some connections. But I still am having a hard time seeing how we have so commercialized this holiday. Although, arguably, that’s probably what a lot of the pilgrims and puritans were saying about Christmas is, “How have you so commercialized this? You’ve forgotten the whole point of what it’s about.” So, maybe we have fallen into a commercialization of something that should not have been commercialized, but I don’t see the direct connection. Well, I’ve got to say, Rick, your first question is you ask him, “Alright, what about Valentine’s Day?” And I’m waiting for an answer that has something to do with flowers, and Hallmark cards, and candies, and whatever, and he starts talking about the different ages of persecution. I’m going, you asked about Valentine’s Day. How did he get to persecution? –than I would have guessed. It really is a different kind of direction than what we anticipated. Well, I thought it was super interesting, too, where he talked about how Emperor Claudius banned marriage because single men fight better. And as I’m hearing this I’m going, “I can totally see that’s true” but, right, what an interesting thought to say, “Okay, how can I have a better army? There will be no more marriages.” Right? What an interesting– and by interesting I mean really weird, way to assess this. But even some of how this flow happens to get to Saint Valentine and seeing some of these decisions that are made where marriage is forbidden and now Valentine’s is really the relationship holiday. How far we’ve come from the place where that, “No, we need good warriors therefore, men, we don’t want you have a family because you’re going to be distracted thinking about your family. We need you to be able to just run and die in battle of necessary and not worry about who you’re leaving behind.” So many, again, interesting details of the story that I had never heard. Well, and then he gets into the X’s and the O’s, and what that means in the Greek language, and how you pronounce it, and etc.. And then from the X’s which is the Greek letter and the criss. And then you get the criss cross, and then you get cross your heart, and all these things that we– I had no clue that that went back to even that Greek letter, Greek word. So, when you see an Xmas that that actually is not leaving Christ out of it, it’s actually putting Christ in it. And I thought that, too, I thought, “I was always told not to put Xmas because we want to keep Christ in Christmas.” I think there’s probably some people that do put xmas and they’re intending to keep Christ out, but they have no idea that actually that’s where this originated. You’re actually speaking Greek now you had no idea. So, this is Greek Christ-mas, so even in this right, as you were saying these X’s and O’s, just things that we had not heard before. And, by the way, just on a– now let’s go in 180 degree direction different. I had no idea that 90 percent of birds are monogamous, that they mated for life. We talk a lot about the laws of nature, and with millennials, and our leadership training, and whatnot, we do a lot of reasoning – what are the laws of nature teaching us on this, this, this, and this. I had no clue that it was common in nature that birds were monogamous, that 90 percent of bird species mated for life. So, Valentine’s Day is when he wrote that all these birds came and chose their mate. So, that’s part of Valentine’s Day is this connection for life. We’re making a lifelong commitment here. I can see where all these ingredients go into what we now do in celebrating Valentine’s Day, but had no idea where that stuff came from. –that didn’t mean I was done in life, right? You’re supposed to have one. You bet. You mean the chaulk? They were terrible. Yeah, they were chaulk! They were chaulk, yes. Okay, sorry, I get sidetracked. Well, all of this, I don’t know how I can do this, Rick, I have to admit you were right. You concluded and said we typically think this is a shallow holiday and it’s not. Well, and as he said, right, that the fact that he was willing, that Valentine was willing, to lay down his life for Christians, for Christianity, it really is that reflection that, “Greater love has no one than he lay down his life for his friends.” And then that is such a picture of what love is supposed to look like. Which does make sense of why we would celebrate love on Valentine’s Day. Well, anyone that says that history is not fun and exciting to learn has not listened to WallBuilders Live lately. This was a great interview with Bill Federer, appreciate him coming on the program today. And most of all, appreciate you listening today. So, thanks so much for listening to WallBuilders Live. We really do actually enjoy history – it can be fun, it should be fun. The story of America is amazing. So, today we looked way back before America to get some of those traditions of Valentine’s Day. But the story of America is incredible and that’s what we do most of the time here on WallBuilders Live. So, we appreciate you listening and giving us a chance to bring you that biblical, historical, and constitutional, perspective on the hot topics of the day. 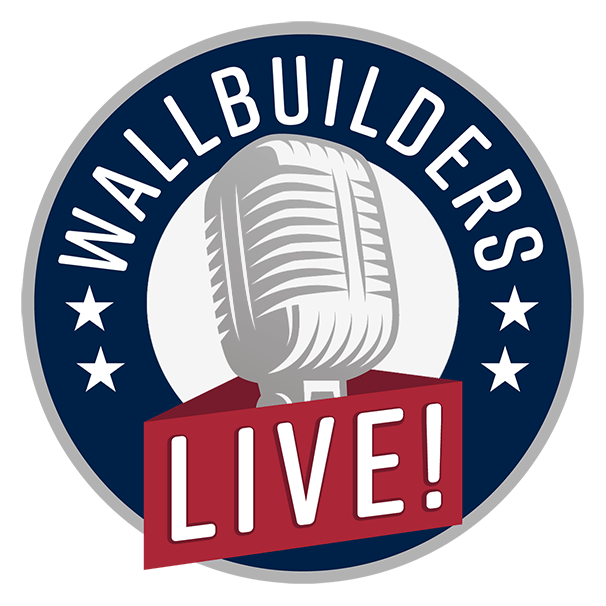 You’ve been listening to WallBuilders Live. Thanks for the history of St Valentine. Very interesting. Lots of great history and a few laughs.